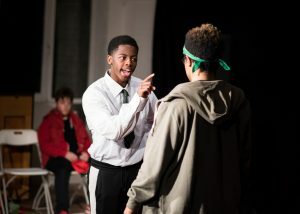 Young Theatre Makers have so far created 15 shows which have toured to a schools and youth settings in London. 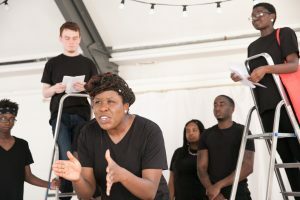 The themes covered in the shows have been foraged from workshops with young people and highlight the issues that they think We Need To Act On right now. Past themes have included racial prejudice, unhealthy relationships, pressure from family, mental health, homophobia and much more. Our most recent touring show CARGO took place in Nov-December 2018 and received brilliant reviews. Our next piece of forum theatre will be touring in Nov-December 2019.